I realised recently that I haven’t shared my love of kitchen gadgets with you. Naughty meeee! Previous to its incarnation at Fermented Foody HQ, I owned another high-speed blender from a different brand. One that I broke. Ta Da! (I’m fairly clumsy. Shhh. Don’t tell Froothie!) Replacement due, I was lost without my kitchen ‘go to’ and decided a ‘backup’ blender for was needed for the future. A few years ago I fell in love with high-speed blenders. No less than 3 now lurk close by at all times. My first machine served me well. Naturally, there was bound to be a day when it bust! To be fair, it was a replaceable bust (warranty in place). However, it happened after a crucial day in the kitchen and I felt sufficiently unsettled at the potential of suddenly not having a super fast blender at my instant disposal to research another brand to complement the existing one. I’ve read much about blenders in the past and wasn’t about to hold back this time. So it was, a few hours later, I stumbled across a brand I’d not seen before. Honestly? I’ve never had a blender company pick the phone up. At best, you leave a message and wait a few days for a reply. Or chase them around the world by email. Not only was Lisa at the end of a phone (unbelievably good news) she was super helpful. The type of soothing, reassuring voice that makes you want to buy everything they sell. Queries thoroughly satisfied, I purchased a machine there and then. It wasn’t a snip of a buy, but given the help I’d experienced at this early stage, I was without doubt that I’d be well looked after should anything go wrong in future. So what was delivered to my doorstep? A beauty of a machine, with a comprehensive and easy to use control panel, it strolls over one leading rival with 1k extra watts, a 6 blade (wet and dry) BPA free jug and a 7 year Warranty. Better still, it’s suitable for commercial AND home use where a leading rival (at a similar price point) is suitable only for the home. Why does that matter if you only plan to use it for the family? Commercial machines are built to withstand more use. They’re generally more robust. This will serve you well and no doubt repay you many times over, with regards to general day to day use and lifespan. What else do I like about this machine? The lid fits snugly into the jug to a design that prevents it flying off. This isn’t a machine you need to hold from the top, when it’s working at full power. It does the thinking for you, with low, medium and fast speed buttons for soft, harder and tough foods. Making soup? Low will do. Chopping up hard’ish veg? Medium’s great. Hard, raw veg or ice? Pop it on fast. 3 more buttons with 20, 30 and 40-second blend options. It gets better. Choose 40 seconds and you’ll notice the motor revs up to top speed slowly, gives the contents a blast, slows down (clever, huh? a preventative measure for overheating the motor) then pushes onto it’s final 20 seconds. I really love that feature. And that’s not all. I knowwwwwww. It’s ridiculously brilliant! Froothie, the company selling these gorgeous babies has tucked away another secret weapon in the armoury of this fabulous piece of kit ..
Should you, in a forgetful moment, place ice in the jug and set the machine to anything less than the ‘fast’ setting, it will switch itself off. Guess who did something similarly foolish? Yup. I thought I’d bust a second machine!! Back on the phone to my new best friends … who picked up the phone? You got it. Problem explained, I was duly sent to the kitchen. Standing at the coal-face, a velvety voice instructed me to remove the jug from the top of the gadget, check the base of the motor and flick the hidden switch on the blender’s underbelly. Jug back in place, the ON button switched to ‘we’re ready to groove’ and Voila Mon Amie .. one machine as keen to get going as Red Rum. It does everything my other machine could do, with the advantages listed above. I can honestly say that it’s the best piece of kit I’ve ever bought. I’m somewhat passionate about everything I buy for my beloved kitchen, from the smallest potato peeler (the only gadget I’ve been unable to source successfully .. I long for a similar design to the one my mother owns, a relic from my childhood) through to spoons, spatulas, knives, pans, trays, pots and .. the list goes on. I’ll be sharing more with you in the coming weeks and months. Since my recipes do use high-speed blenders (I try, where possible, to create manually made versions for those who don’t own gadgets) I can’t recommend this machine highly enough. And it’s such a great time saver. Always a huge plus. The company also offer other models, one being The Optimum 9400, a best seller that’s home to an additional couple of features. If you have the cash to flash for fuse protection and a couple of other technical extras, you can splash out on the 9400, enjoy them and let me know how you fair. My summary? I’m sure the 9200A is all you ‘need.’ Anything more is simply a lovely bonus. I have sooo many recipes to share with you in the coming months, all of which can be made in the 9200A. These machines won’t be going anywhere. You can come back here and click on the links after the price has changed. If you’re Australian or U.S. based, hold tight. I’ll be back with some links for you soon. So many super fast, healthy and delicious creations! I know many people put cash aside for fancy cars, holidays, clothes and nights out. Me? I see the kitchen as a worthy contender for investment. Especially if we’re busy, want to eat healthily and need to prepare our meals quickly. She’s beautiful and so versatile. What a great gadget to have in any kitchen. I’m not a total foodie but I think I’m going to need one of these! 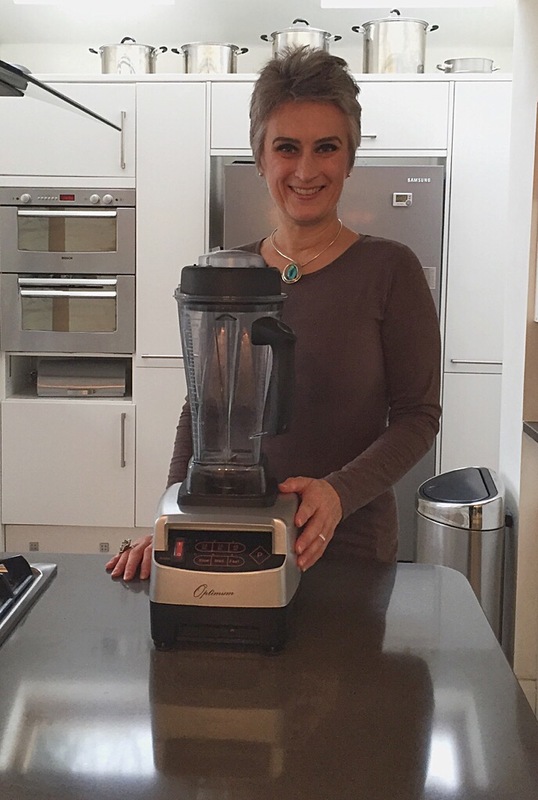 Oh yeah I love blenders, specially the powerful ones… Love making soups, smoothies and any other thing that comes to mind.